The 2019 NWSL season begins with the bottom two teams from last season facing off for the first of three times this season. Nearly seven months after the North Carolina Courage defeated the Portland Thorns in last season's Championship Game, the NWSL begins anew this Saturday. The Washington Spirit host Sky Blue FC in one of two matches taking place on opening day. Both of these teams struggled to accrue points last season. Washington finished second to last with eleven, and Sky Blue finished at the bottom with nine, with only three wins between them. If they were considered one team and were able to combine their points, they would have still finished last in the standings, five wins, and ten whole points behind seventh place Orlando. While neither of these teams are expected to make a significant jump up the table this season, they both are expected to improve on last season's point totals. This is an early opportunity for either of these teams to score some early points and try to create some early season momentum in an effort to try and improve on their finishing position from last season. As per usual with teams that don't have good seasons, changes are made during the offseason in an effort to improve. 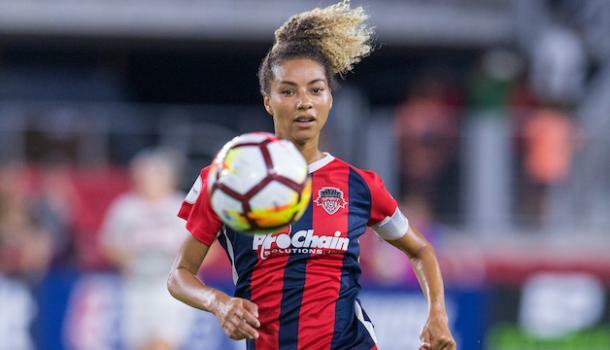 The Washington Spirit have a new coach in Richie Burke, as well as new players such as Australians Chloe Logarzo and Amy Harrison, and draft picks Jordan DiBiasi, Samantha Staab, Tegan McGrady, and Dorian Bailey. They also saw the departures of Rebecca Quinn, Whitney Church, Taylor Smith, Havana Solaun, Estefania Banini, Francisca Ordega, and the recently announced retirement of Joanna Lohman. They also traded Caprice Dydasco, Estelle Johnson, and DiDi Haracic in a draft day trade to Sky Blue, in exchange for the third overall pick in this past draft. Sky Blue also acquired Paige Monaghan and Julie James through the draft, as well as acquired Nahomi Kawasumi in exchange for Shea Groom in a trade with Reign FC, and recently announced the signing of Brazilian international Gabi. The team also lost Amanda Frisbie, Rebekah Stott, Katie Johnson, Caroline Casey, and Christina Gibbons, by way of trades, signing with international clubs, or retirement. Two other key losses who aren't technically losses given they never played for Sky Blue were their two first round picks from the drat Hailie Mace and Julia Ashley who elected to sign overseas in Sweden rather than sign with Sky Blue, given all of the off the field problems the team were going through which came to light around halfway through last season. With these problems being improved upon, and Sky Blue holding their draft rights until the end of the calendar year, we may see those two in New Jersey come 2020. Both of these teams will be looking to start this season off with a win, and while it may only be the first game of the season, three points could go a long way towards an improved season for either team. 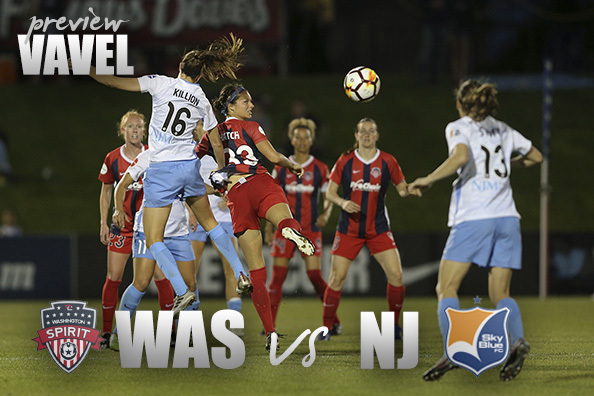 The Washington Spirit host Sky Blue FC this Saturday, April 13 at 7:00 PM EST. The match will be streamed at this link, or on the Yahoo! Sports app for American viewers, and on nwslsoccer.com, or the NWSL app for international viewers.